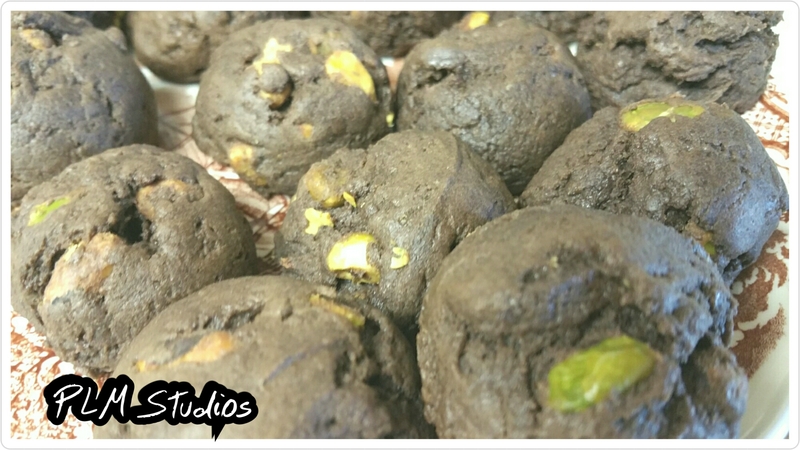 To turn the biscotti dough into the small cookies or buttons that you see in the picture, all you do is just pre-heat your convection oven or regular oven to 350 degrees Fahrenheit, and then bake round, tablespoon size dough balls for a total of 20 minutes, checking after the first ten minutes to see how they’re doing. I baked my cookies on parchment paper and it makes everything such a breeze. Nothing sticks to parchment paper and it has the advantage of being easy to clean. All you do is form into a couple of logs about 2 inches wide, and then bake them at 350 degrees Fahrenheit oven for about 20 minutes then you checking them. You keep baking at 350 until the top feels dry. What you want is you don’t want them to be thoroughly cooked. 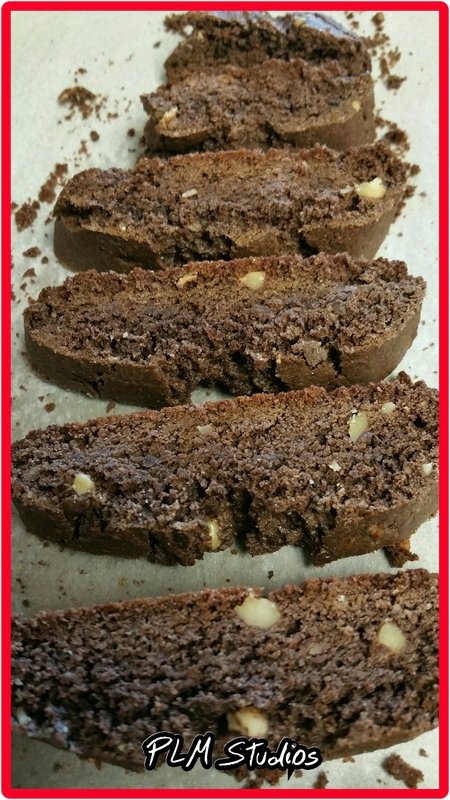 You want the dough logs to be partially cooked so that you can still cut the biscotti with a super sharp knife, but not mash or break the biscotti to bits! 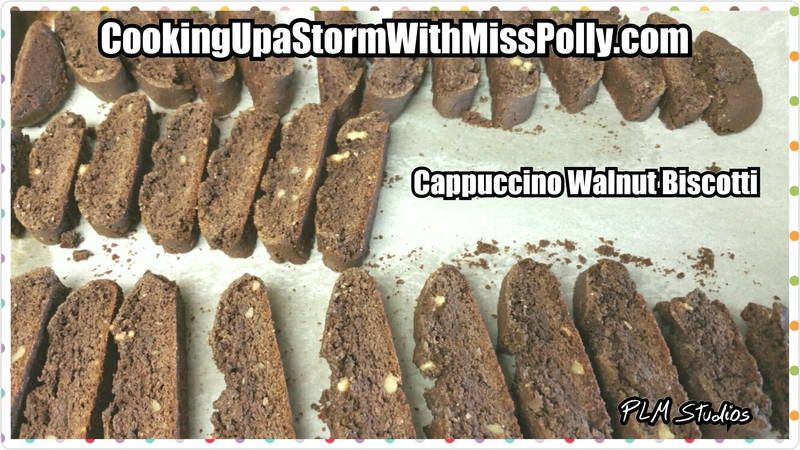 After you get the very carefully cut biscotti slices cut with a sharp knife, then you bake the slices turned on their side for 10 minutes at 350 and then you turn them over there with your hand or tongs for another 10 minutes on the other side. You just keep baking until they’re the right texture you want. Don’t let there be any fine rule when you bake them. The baking time varies depending on the way your oven is calibrated and how hot it truly is by an oven thermometer. Yesterday August 21st, 2016 -Right now I have the dough in the fridge in a Trader Joe’s Greek Yogurt container, waiting for a time when I am not so tired to bake it. 1 tablespoon Taster’s Choice French roast instant coffee mixed with two teaspoons of hot water and a small bowl. 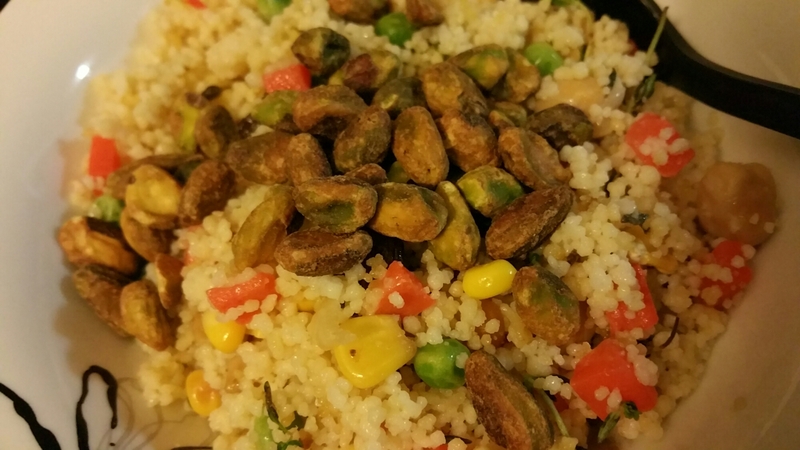 1/2 cup roasted pistachios. You can add as much as 1 2.5 ounce package of wonderful brand roasted and salted pistachios if you like. Mix the instant coffee in the hot water and beat the brown sugar, oil, vanilla or almond extract, egg or 1/4 tsp egg substitute and coffee and a large bowl of a KitchenAid mixer. Beat on medium speed about 1 minute or until blended. 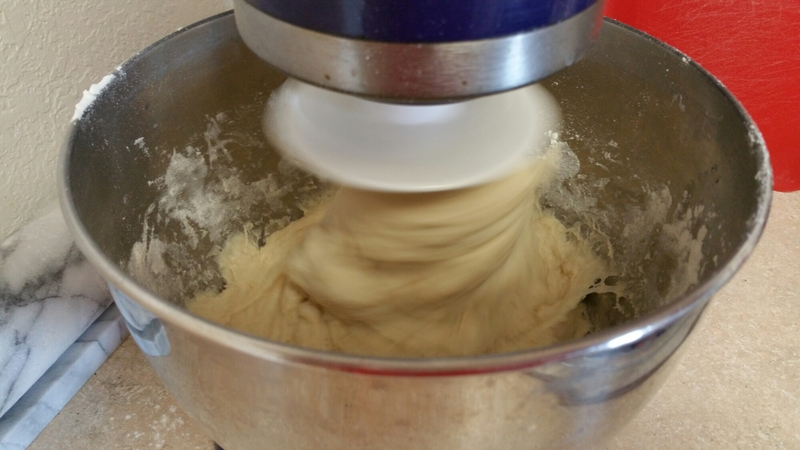 I used to small rubber scraper and pushed the really thick dough down towards the middle by the bowl of the KitchenAid mixer. I stopped the KitchenAid mixer every time I did that by the way. Stir in remaining ingredients and place the dough on the surface sprinkled with Bisquick mix, and gently roll in the Bisquick to coat. 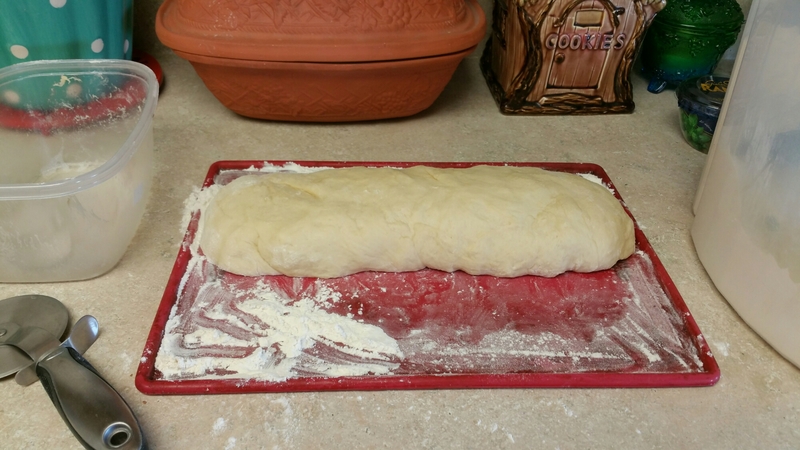 Divide the dough in half and then shape each half into a 10 by 3 rectangle on an ungreased cookie sheet. Take 20 to 25 minutes, Rancho cracked and deep Brown around the edges. Cool on the cookie sheet about 10 minutes. Cut each log crosswise into 1/2 inch slices and carefully turn slices cut down side on the cookie sheet. Bake 8 to 10 minutes more, or until crisp and brown around the edges. Cool on the cookie sheet 5 more minutes and carefully remove from the cookie sheet to a wire rack and cool completely calm about 25 minutes. 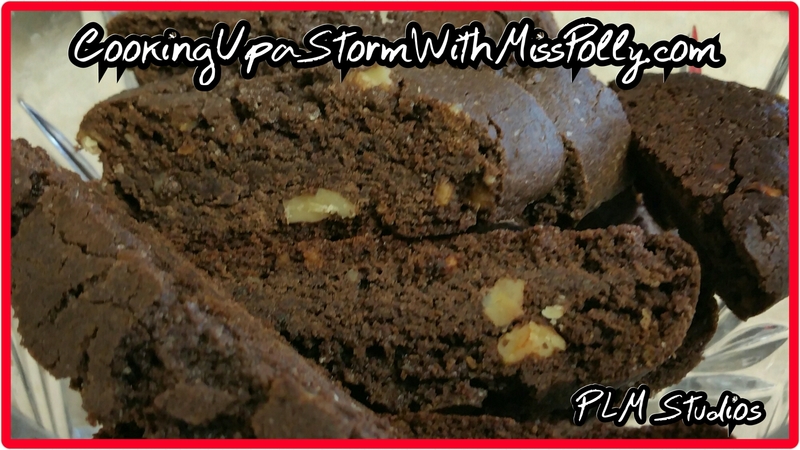 I adapted this recipe greatly from one that was in a Bisquick baking book called Mocha Chip Biscotti. Mix all ingredients in a large two and a half cup capacity screw top bottle that allows you to squirt on the dressing. A good example would be like a honey container emptied out. Mix all the ingredients in the cruet or squirt bottle with tight fitting lid and close it really tightly and just shake it up. 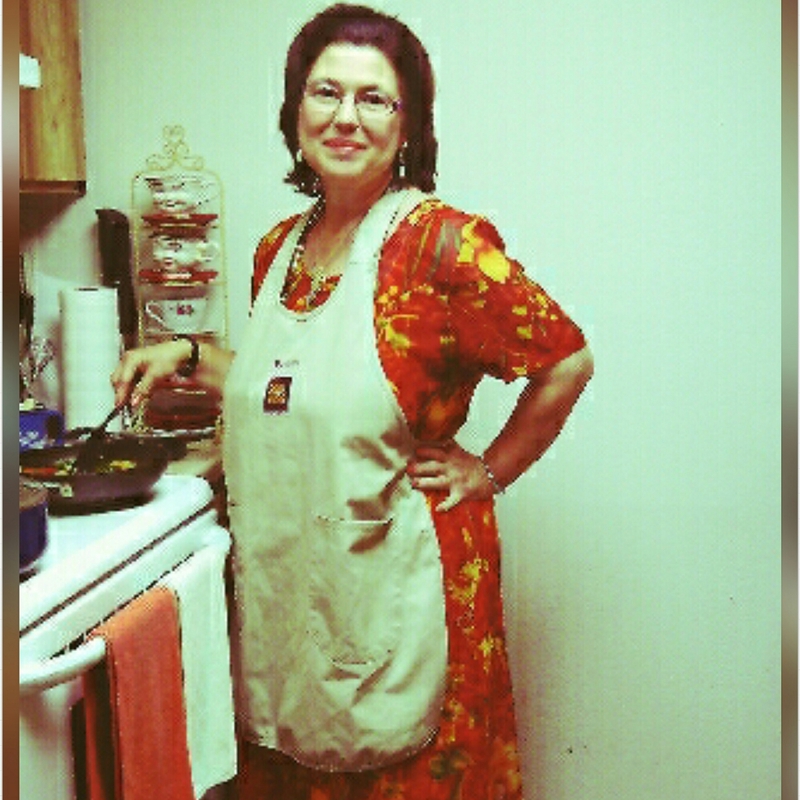 Any excuse I can do to eliminate a step or make something easier to recipe or more efficient I do it. After all, everybody’s time is valuable isn’t it? 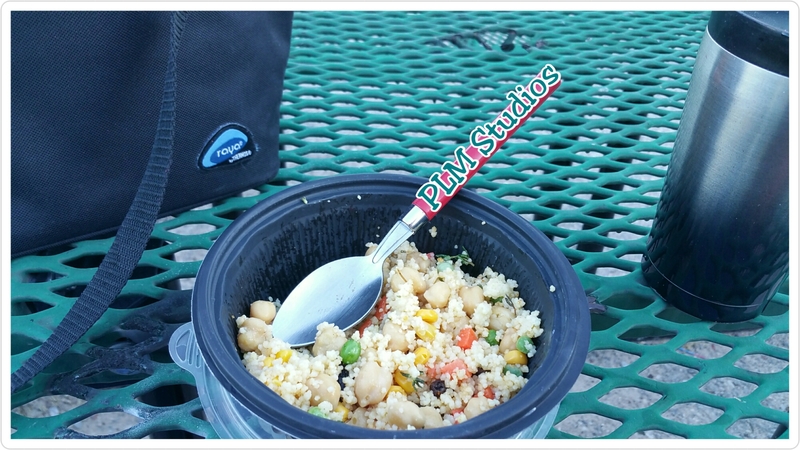 rather than just messing up a mixing bowl just mix it all in that container it’s going into. I love emptied out honey containers or other bottles that have a squirt nozzle on it. It makes it very easy to control how much dressing you put on your salad. 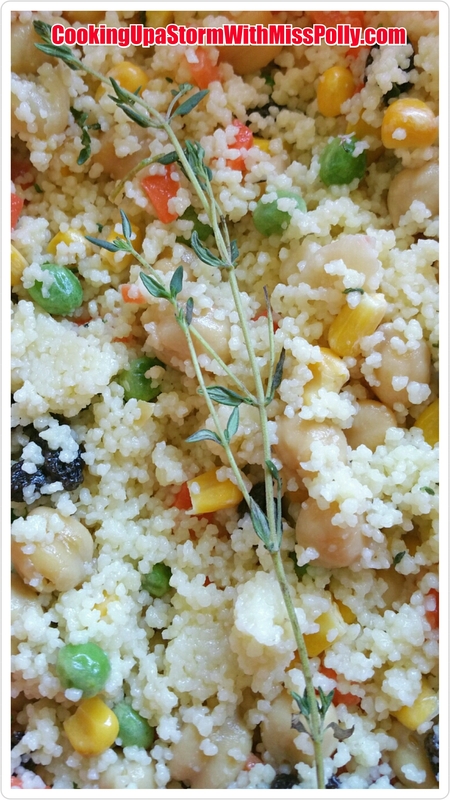 This dressing makes fantastic salads of all kinds and inventive stir fries too. 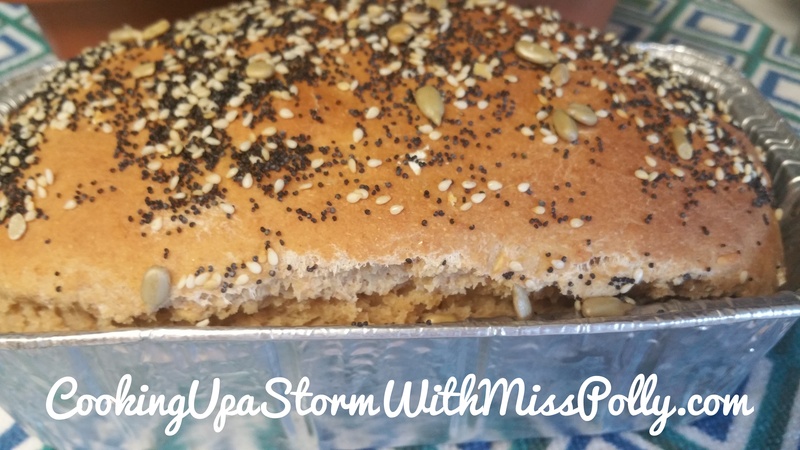 The sesame oil has such a wonderful toasted aroma and gives everything you put in it original and special flavor all its own. 1. 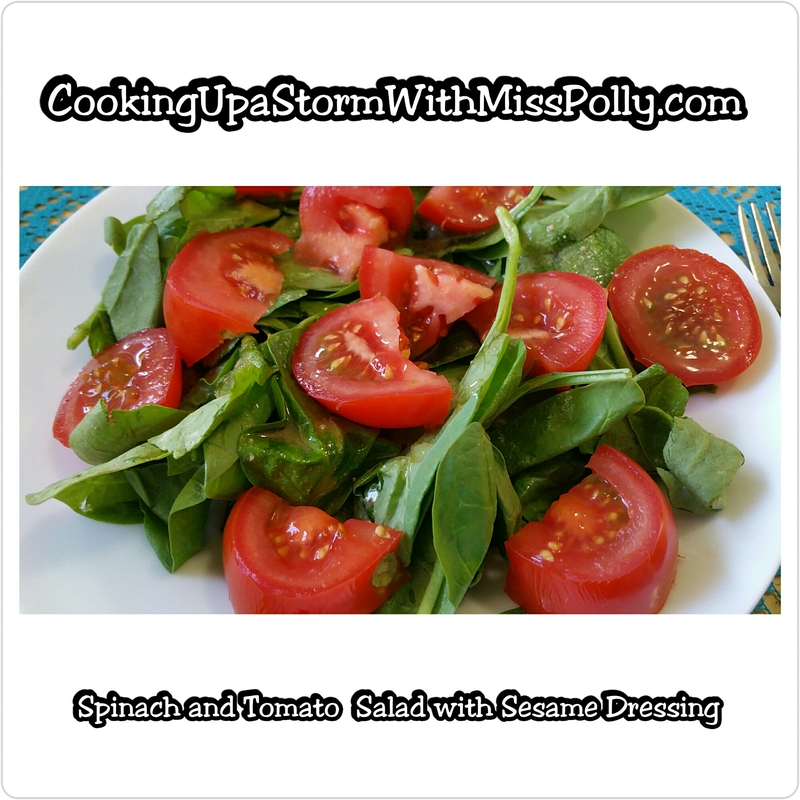 Spinach salad with really ripe wonderful heirloom tomatoes. You can add fresh mozzarella balls to the salad for a solid reminiscent of a Caprice that appetizer. 2. Spinach salad with mandarin oranges, toasted pecans and a few croutons if you like. 3. The Asian sesame dressing makes the delectable chicken salads. All you do is buy a rotisserie chicken, cut it up and store the chicken in a ziplock bag for use through the week. Cover a plate or bowl with artichoke heart lettuce, some dried cranberries, and a drizzle of Asian sesame dressing. What I like to do is instead of adding croutons is add toasted cinnamon coated walnuts and it’s awesome! I remember the first time I gave my mother a salad like that she has said she hated salads but she licked the plate clean! She was so appreciative of everything I did for her, God bless her, and that’s exactly why I did it. Plus, every time I gave to another I get joy in return! This salad stir fry dressing will make a vegetable of a out of you call me even if you think you hate vegetables. The great thing about this dressing is a little goes a long way. 1 tablespoon Nescaffe instant coffee mixed with 1 teaspoon water, mixed very thoroughly. Line a large baking sheet with parchment paper cut to fit it. Mix all ingredients for the KitchenAid mixer with a paddle attachment, or in a large bowl with a very sturdy spoon until all the ingredients are well mixed. 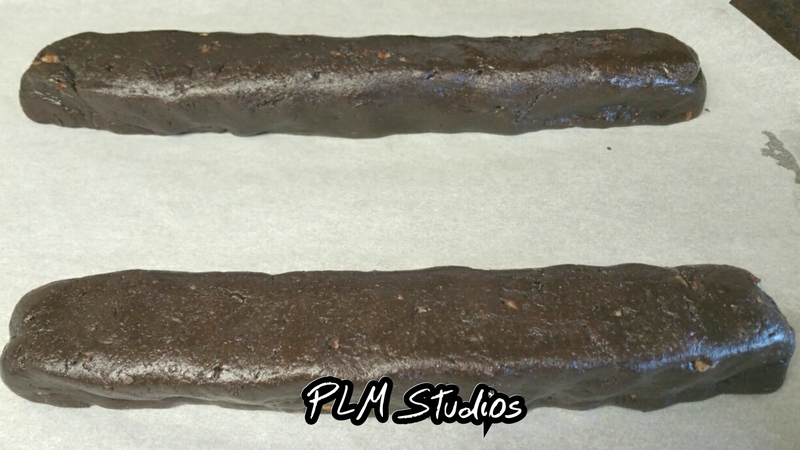 Separate the biscotti dough into two halves. Forum each dough ball into long, slender logs on the parchment paper. Bake at 350 degrees for 25 minutes and cool on the baking sheet for 10 minutes. Very sharp knife after the 10 minutes cooling, cut into not too thin slices. Bake an additional 8 minutes, and put on a serving plate after cool. 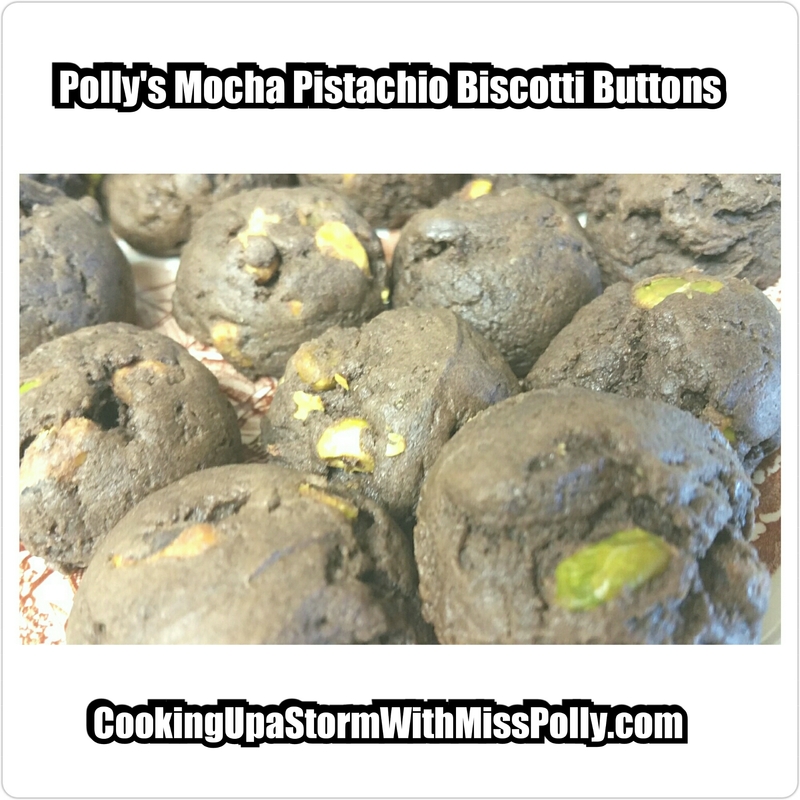 Recipe by Paulette Motzko, adapted from “Mocha Chip Biscotti from Bisquick Baking II. 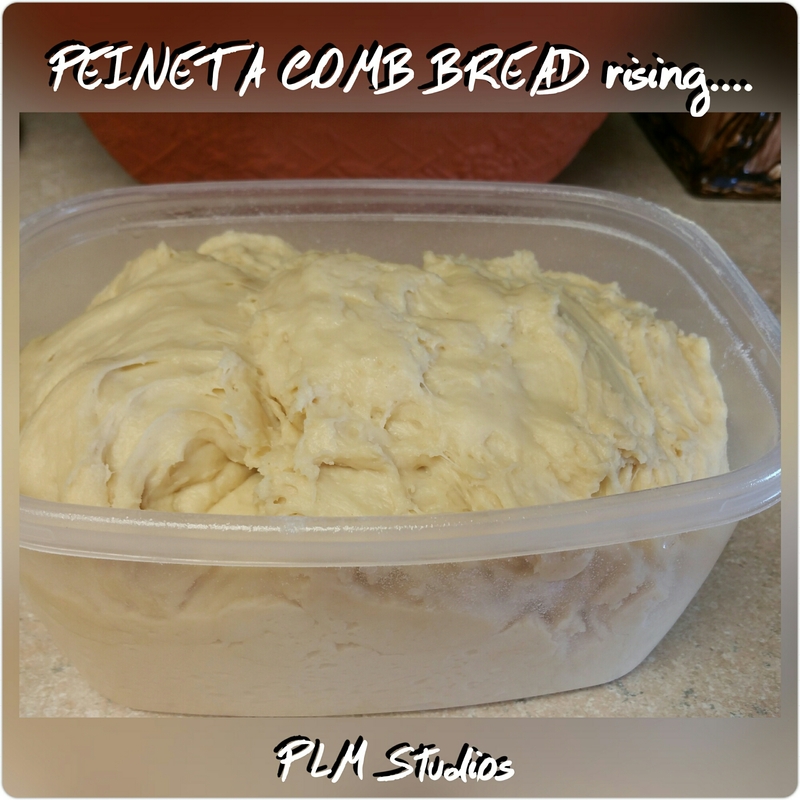 The shape of the bread inspired the name “Peineta”, which means a large, fancy comb. 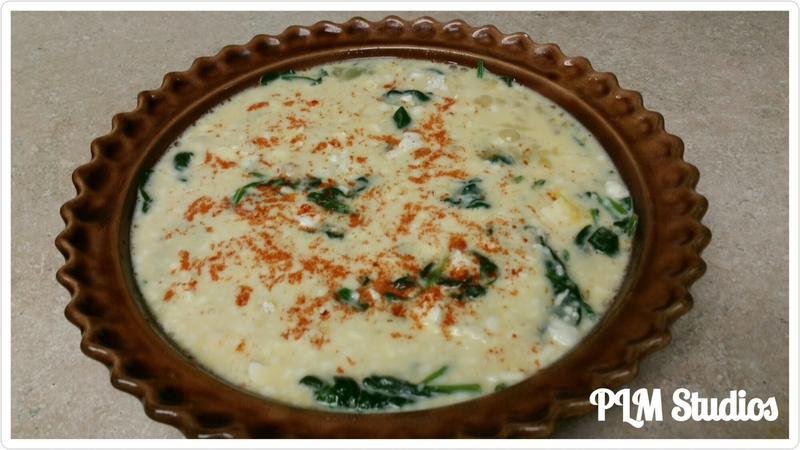 This recipe was adapted by Paulette Motzko from one taken from one of my favorite Mexican cooking books by Barbara Hansen entitled “Mexican Cookery” from HP Books. I have a photo shoot I have do go and want to do to this evening, but the easy directions will be added soon. Text written by and high definition photography by Paulette L Motzko, Copyright March 2016. 1. Scald milk by heating to just under boiling point, about 180 degrees in the microwave, until you see bubbles on the milk. 2. Pour hot scalded milk over the oil, 2 tablespoons sugar, and salt in a large bowl – or mixing bowl if you’re using one like I did. 3. Stir until sugar is dissolved and stir in 3/4 cup hot tap water. 5. Stir in a pinch of sugar and yeast into 1/4 cup warm water and let stand until yeast is softened. 6. Beat in 2 cups flour into cooled milk mixture and beat in softened yeast and egg. 7. Adding in enough flour to make a stiff dough. 8. Turn out into a lightly floured surface and knead until smooth and elastic, at least 10 minutes. 9. 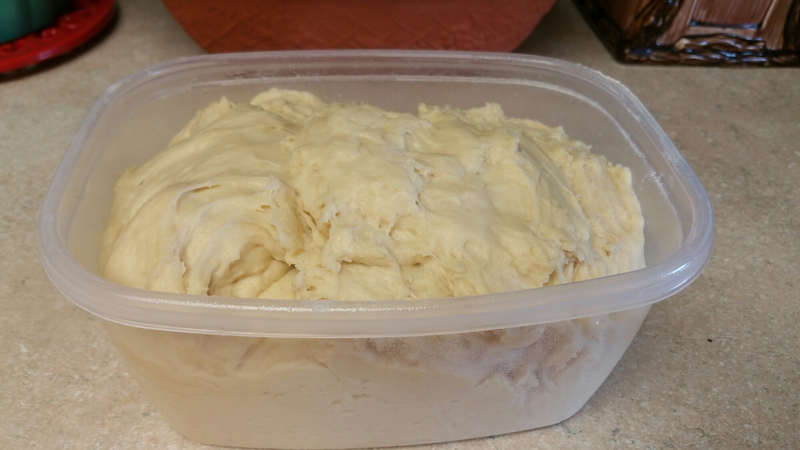 Put dough ball in a clean bowl or plastic container and grease container before putting dough in. Cover with a dry lint free kitchen towel. Let stand in a warm place free from drafts until doubled in bulk, about 1 hour or less- if using rapid rise yeast. Gently punch down the dough. Turn out into a very lightly floured surface. 10. Let the dough rest while greasing one large and one small baking sheet. 11. Divide the dough into three pieces with a pizza cutter. 12. 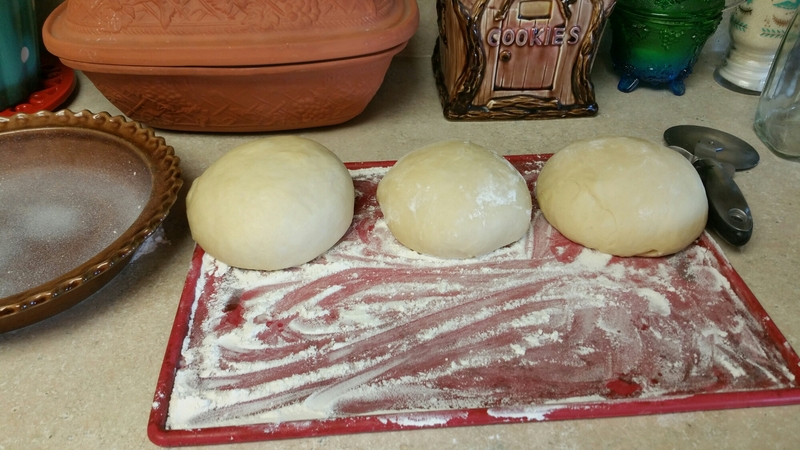 Roll each piece of dough into a 9-inch Circle. 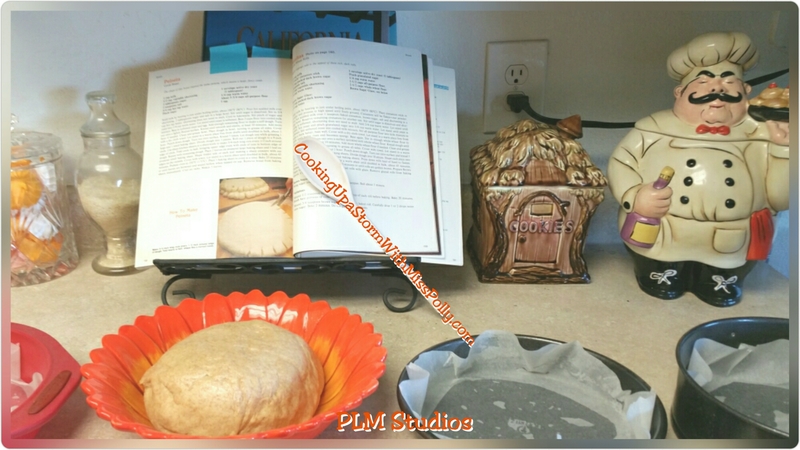 I put parchment paper inside 3 round pans pie pan size to bake the bread loaves on. 13. 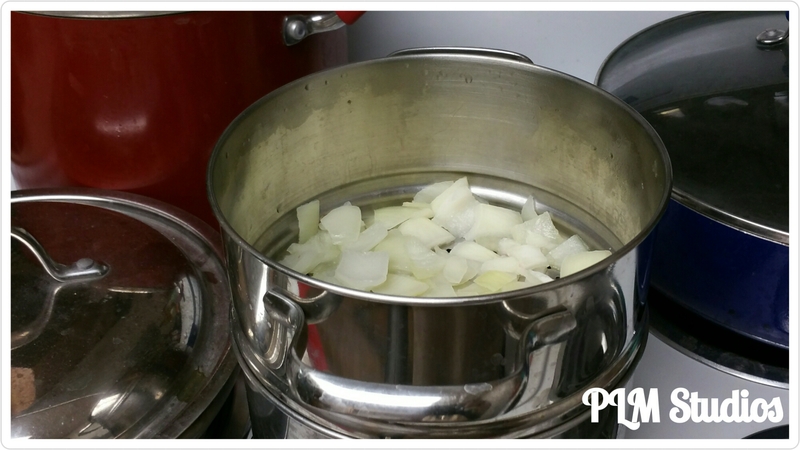 Use sharp kitchen shears or a sharp knife to make 3/4 inch long cuts every half inch around the edge of the circle. 14. 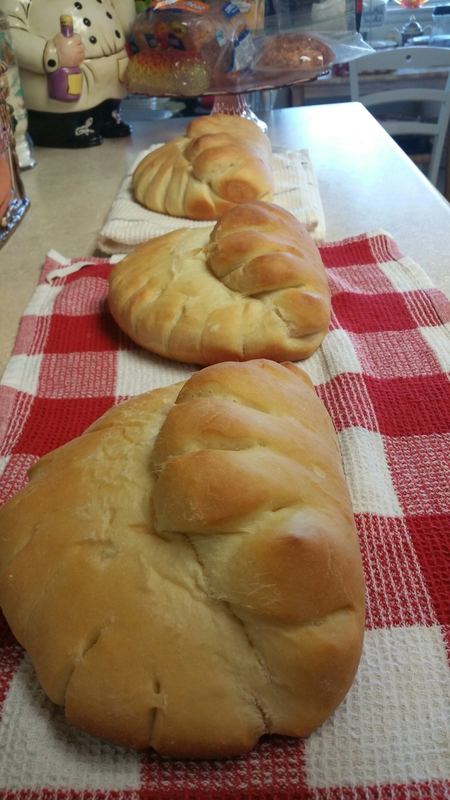 Fold each circle in half, wetting the tops of the breads by brushing with a tiny bit of water so the folded half of dough will stay folded and not lay flat during baking! If you have a nice moist dough, then you won’t need to wet it. 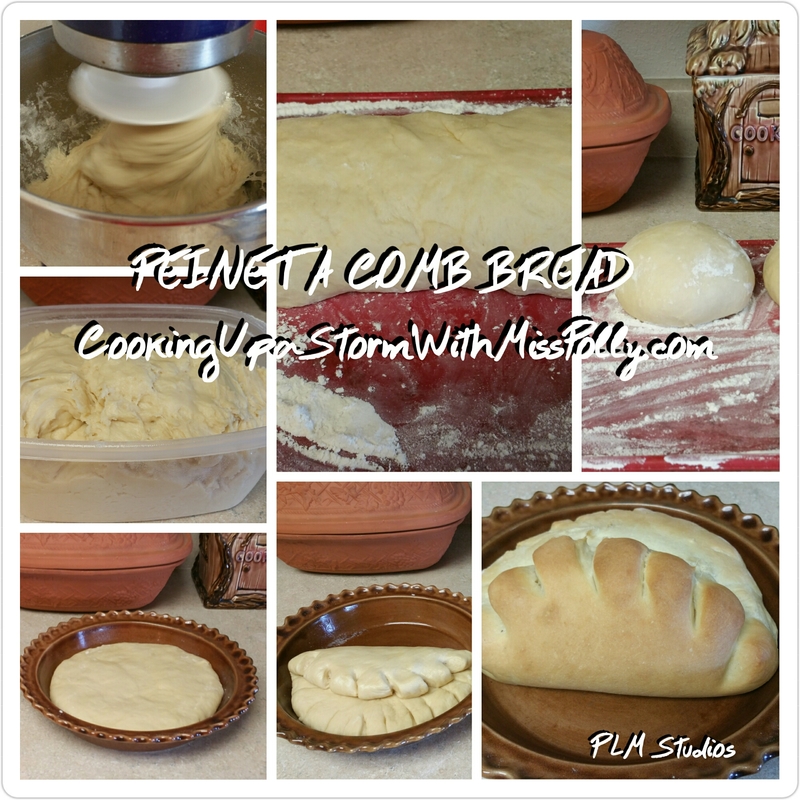 Where bread baking is concerned it’s better to have a moist dough rather than a dry one. The more flour you work into the dough, the dryer it’s going to be and less moist the crumb will be too. 15. Bring the cuts in the bottom edge of the dough even with the middle of the bottom round of dough. 16. Repeat with remaining dough balls. 17. 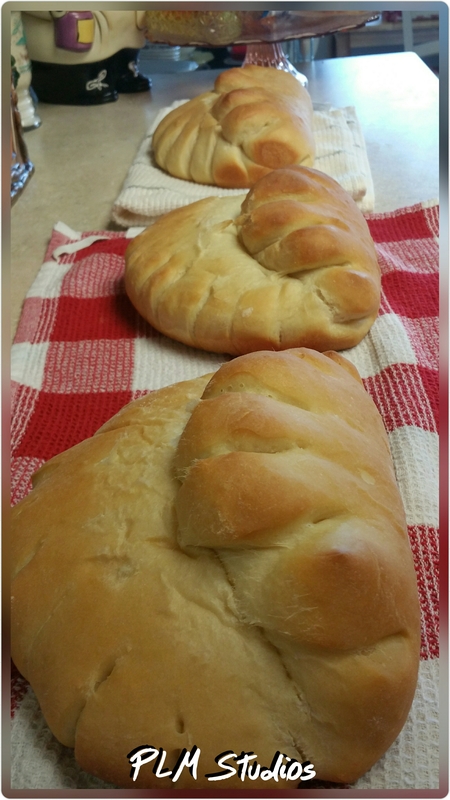 Place loaves on prepared baking sheet and one loaf on prepared small baking sheet. 18. Cover with a towel and let stand in a warm place until doubled in size about 45 minutes – depending on what kind of yeast you used. 19. Pre-heat your oven to 350 degrees. 20. 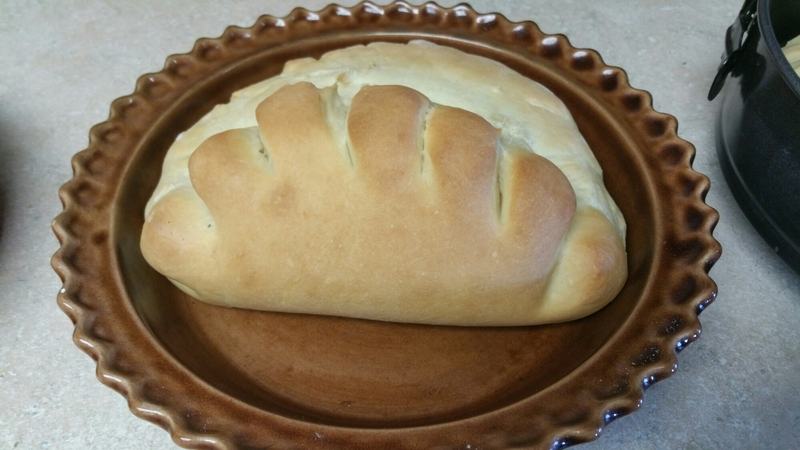 Place comb breads in preheated oven and bake 25 minutes, or until lightly browned and sound hollow when tapped on top. 21. Move breads from baking sheet after cooled slightly on sheet, then let cool on baking racks, or a clean, lint-free kitchen towel. The towel has the advantage a big something you can wrap the bread in so it doesn’t dry out. And you can cut your bread slices directly on it. 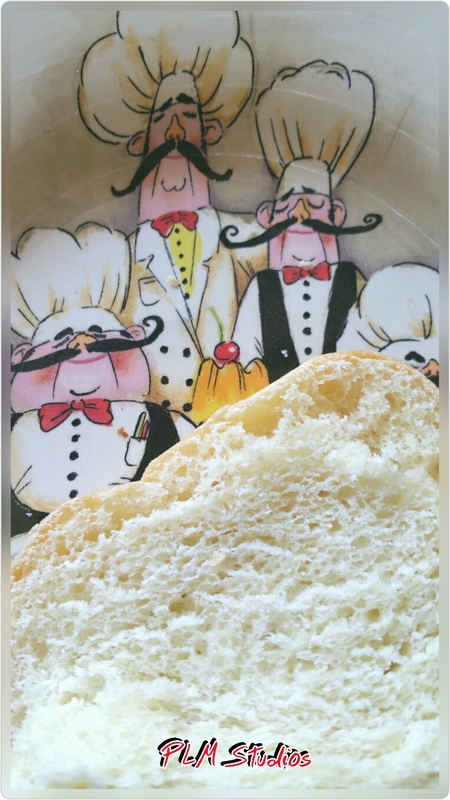 Makes three gorgeous, soft- crusted, white, beautiful loaves to enjoy and give away. This makes awesome French toast when sliced about 2 inches thick. Also you can Flavour these with fresh orange zest, or fresh lemon zest, or a really really good quality cinnamon and make a swirl out of it even adding Mexican chocolate to it like I did once. This bread has put smiles on more people’s faces than anyone I’ve ever made, which is why I updated the recipe and we released it again. I know you see tomatoes in the photo but I decided not to use them. 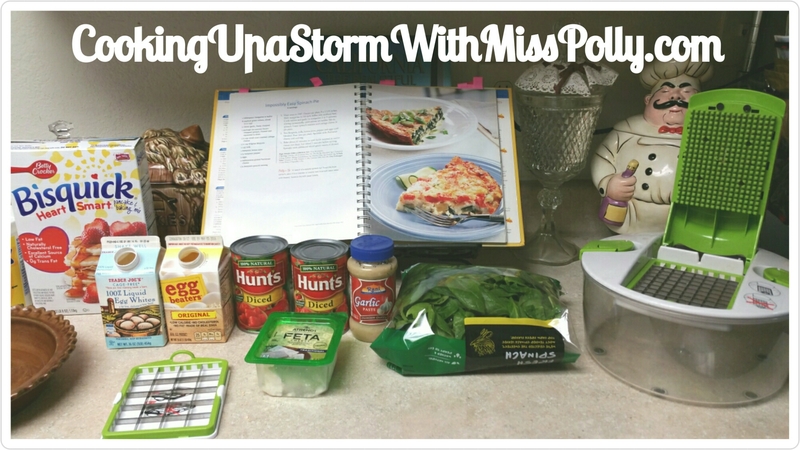 The Volume of all the other ingredients filled the pan up. 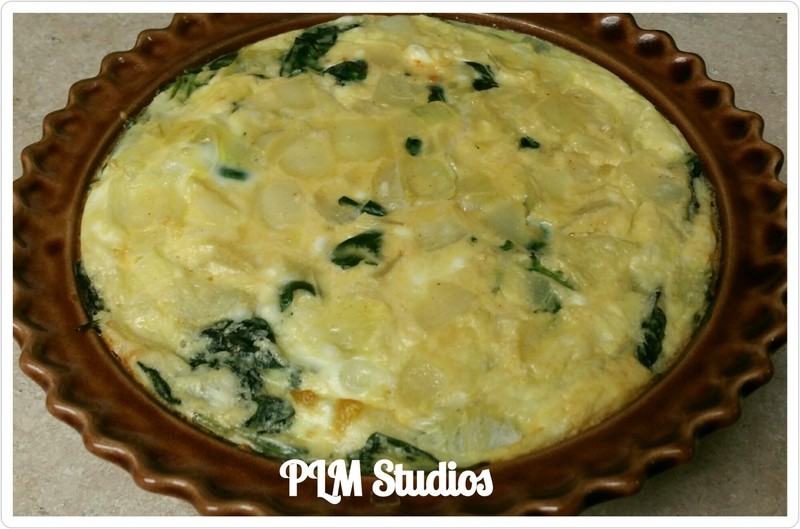 Grease a deep dish pie pan with non stick spray and then put steamed spinach in greased pie plate, then add steamed onion and feta cheese and then Bisquick/cottage cheese /milk/garlic mixture on top of vegetable cheese mixture in pie pan. 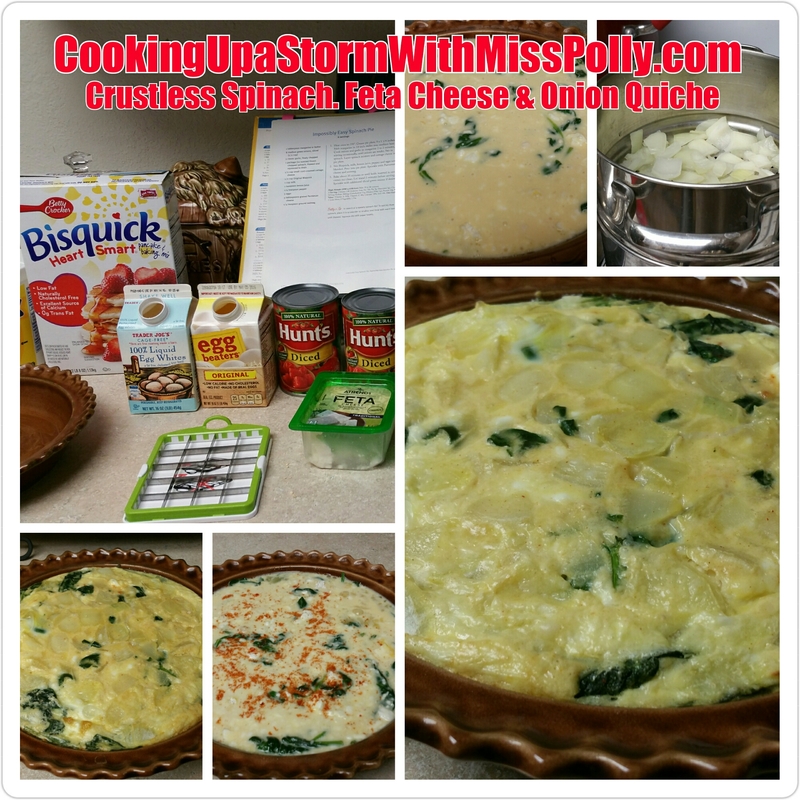 Steam spinach and chopped white onion until nicely done. Bake at 350 degree convection or conventional oven 35 minutes until done in center testing with a tooth pick. Let cool slightly before cutting.